I'm a bit sick of the same ol' fairy tales. In fact, I often turn to the very old classics to read to my kids; they're more real, and their lessons aren't as watered down. 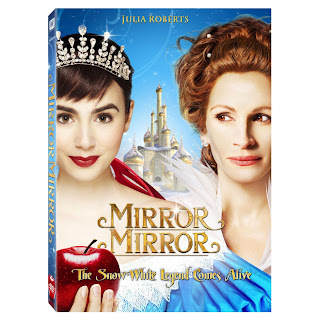 We recently reviewed the new movie "Mirror, Mirror" on DVD, starring Julie Roberts, and I was shocked to find it actually engaging. 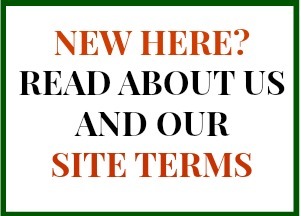 Here's is what we LOVED about this movie.. The tale of Snow White is very familiar; Mirror, Mirror, however, takes the tired-out story and adds some exciting twists. The dwarfs in the movie are thieves that later find redemption, the prince falls under a "puppy love" spell with hilarious consequences, the queen (played by Roberts) is cunning and beautiful. I was drawn in by both the unique spin on the story and the characters. Even the dwarfs have such lively and different qualities - they could make an entire film on their lives, alone! Mirror, Mirror has some action in it that even adults will find entertaining. There are some mild fight scenes (mostly involving dwarfs -- or little people), discussion of plotting to kill Snow White, and a frightening dragon/serpent creature. No one dies in the film, however, and most of the fighting is more slapstick in nature than dark. Children may find the state of the kingdom (with poor and sick children) to be a bit sad; this is a good opportunity for parents to discuss those who are less fortunate and how we can help. There is one genuine kiss in the film (Snow's first); the prince, when transformed into a "puppy", licks the stepmother. One other slightly odd element is the recurring theme of being in a state of partial undress. The prince and his companion find themselves strung up and in their underwear on at least one occasion; wedding guests are robbed of their clothes and are left in some rather strange attire (some of the "support" items seem a bit distasteful.) All in all, however, this is a film that I didn't have a problem with my children watching. We have watched it a few times, actually, and we are always struck with new things to laugh at. *Copy received to review. Opinions are 100% my own.